Are you a proud new owner of a dog? If you’re a first-time owner or have a different breed than you’re used to, you’ve come to the right place. You may have seen numerous dogs being groomed on TV and think you can probably wing it—but please don’t! Just as every person is different, so is every dog. Between your dog’s temperament, familiarity with the grooming process, and breed standards, you’ve got a lot to study! Thankfully, the grooming tools out there are pretty sophisticated these days. There are beginner-friendly variants of professional dog grooming equipment to help fresh-faced owners like you take care of your dog. Today, we’re going to cover which tools you should invest in for your home dog grooming kit and which ones you should leave to the professionals! Brushing a dog at home is something every dog owner should do between grooming appointments. How often you should brush your dog will depend on their breed. 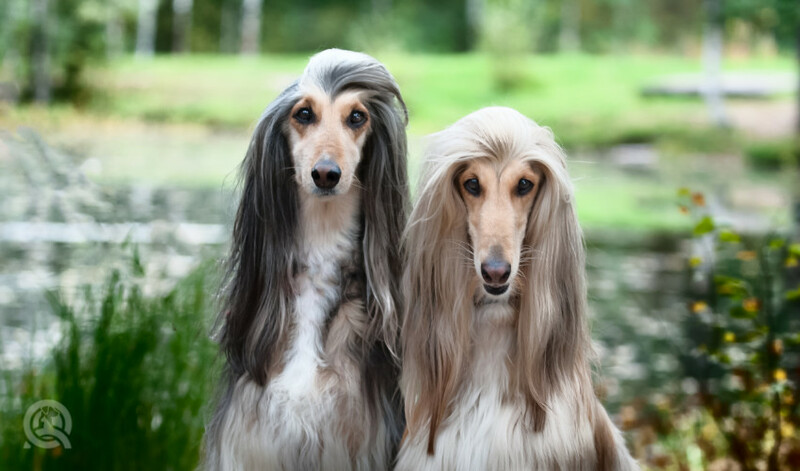 Dogs with silky hair (ex. an Afghan Hound) that tends to mat demands more attention than a Dalmatian. You may be wondering why you should bother brushing a dog with a short coat. Well, brushing isn’t just about detangling! When you brush hair, it removes dead hair and stimulates the skin. You’ll stimulate blood circulation and the production of more oil, which will condition the hair for a healthier coat! If your dog is a heavy shedder, you may even want to invest in a grooming glove that catches loose hairs. Professional-quality bathing systems can run you a high bill that won’t be worth the return for an owner. Commercial tubs are generally stainless steel and require plumbing systems that must be purchased separately. Yikes! Not to worry though. You don’t need a commercial bathing tub for your at-home baths! Place a non-slip mat in your own tub at home and you’re good to go! The number of times you’ll bathe your dog will depend on their lifestyle, coat condition, and health. 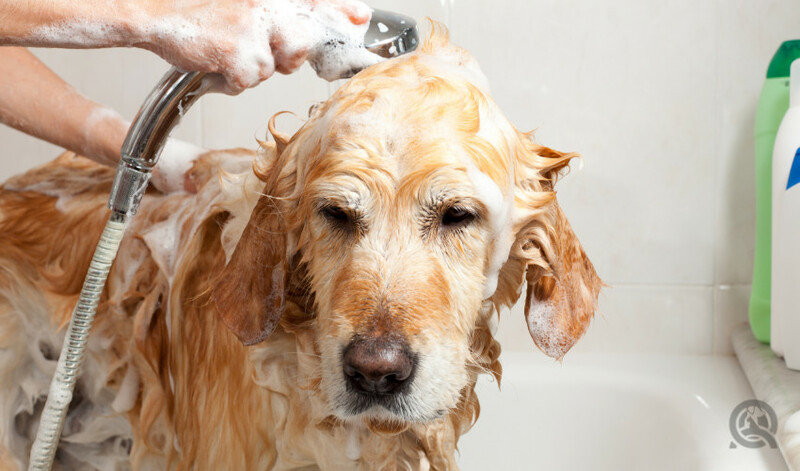 If you need to remove mud or dirt immediately, ensure that you’re using dog shampoo. Human shampoos can irritate and cause hair breakage. Don’t forget to check the label—some shampoos require dilution before use! You can absolutely use nail clippers at home to care for your dog’s paw. Younger dogs will wear down their nails naturally from activity. However, if you own a senior dog, you’ll need to clip them more often. If your dog is not comfortable with nail clipping, you’ll need a helping hand. Otherwise, you can save this task for your next dog grooming appointment. While you don’t have to invest in an expensive grooming table, you also don’t want to cheap out in this department. The last thing you want is for the table to collapse mid-groom! Ensure you always groom your dog on a solid surface. One that can handle the weight of your dog. You’ll also want to ensure that you can attach a grooming arm to the table to keep your dog in place. If they’re fidgeting, they can potentially fall off the table. It’s best not to risk it! Dog hair clippers or scissors – Depends! Clippers are by far the fastest way to cut hair. But remember that there are a variety of dog coat types, and also a variety of ways to remove hair. For example, smooth-coated dogs rarely require clipping—their hair won’t grow long enough to mat. Meanwhile, if you own a Border Terrier, it’s best to hand-strip the coat instead of clipping it. For hard-to-reach areas such as the paws, you would want to use scissors. With so many clipper attachments, comb types, and scissor types, how do you know what to buy? Ask a professional! It’s the best way to ensure you’re grooming a dog correctly. 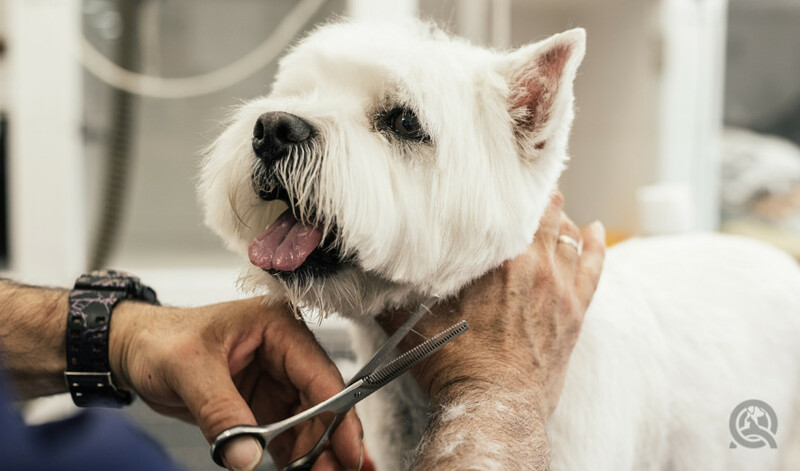 Visit a certified pet groomer for a head-to-toe grooming appointment. They’ll become acquainted with your pet’s unique features and circumstances and will be able to give you tailored advice on maintenance grooming. Do you disagree with an item on our list? Let us know why! What if you own a mixed-breed pooch? Check out QC’s guide to grooming mixed-breed dogs!